Seattle X. Renton | Оценка: 5! Да и хватит уже...с заводами Boeing! 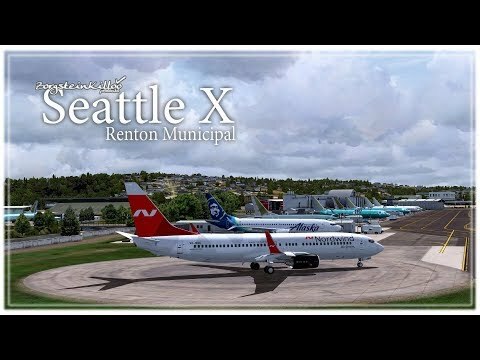 Renton Municipal Airport (IATA: RNT, ICAO: KRNT, FAA LID: RNT) is a public use airport located in Renton, a city in King County, Washington, United States. The airport was renamed Clayton Scott Field in 2005 to celebrate the 100th birthday of Clayton Scott. The airport's northern boundary is Lake Washington and the Will Rogers - Wiley Post Memorial Seaplane Base. Renton Airport has a floating dock and a launching ramp for conversion from wheeled landings to water takeoffs and landings. The airport is owned by the City of Renton and is a general aviation airport which serves Renton and other nearby communities. It provides regional aviation services for air charter, air taxi, corporate, business and recreational flyers. in which it is categorized as a regional reliever facility. The airport is located approximately 12 miles southeast of downtown Seattle near the south end of Lake Washington. US Customs service available for both floatplane and wheeled aircraft arriving by water or by land. and is the initial point of departure for airplanes produced in that facility.